3 Bedroom Semi Detached House For Sale in Sheffield for Guide Price £150,000. 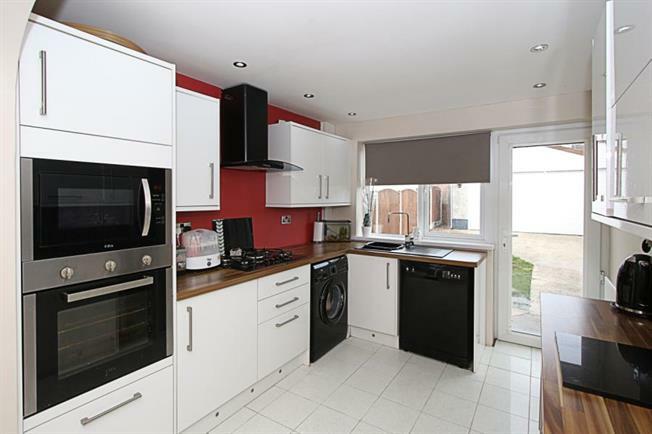 Blundells are excited to bring to the market this delightful, three bedroom semi-detached property. Located in the highly popular and convenient residential area of Intake, the property is ideally placed for local shops, schools, amenities and transport links to City centre, M1 motorway and Meadowhall shopping centre. In brief the property comprises of; To the ground floor the entrance hallway leads into a beautifully presented living room with front bay window and gas feature fireplace. There is a further second, open plan reception room/dining room with a stunning, modern fitted, White high gloss kitchen which comprises of a range of wall and base units with wood effect, roll top work surfaces and integrated electric oven with gas hob and extractor fan. To the first floor is the gorgeous master bedroom, further second double bedroom, third single bedroom and fantastic, three piece family bathroom suite. The property boasts landscaped gardens to both the front and rear of the property and a shared driveway for off street parking with a detached garage. Ideally suited to a first time buyer, couple or family an early viewing is essential to appreciate this tremendous home!